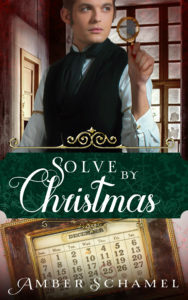 Solve by Christmas is a charming mystery with a plot line that brings to mind It’s a Wonderful Life. Detective Jasper Hollock wants to be taken seriously as an investigator, and he gets a chance when two cases fall into his lap. Outwardly, he’s a bit of a curmudgeon, but inside he’s more accepting than he lets on. It takes the hero-worship of an upstart street-kid to soften Hollock when he realizes not everyone is out to hurt him or do him wrong. 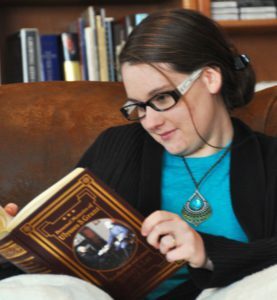 The story is set in 1913, and I enjoyed learning about the era. Because of the lack of modern technology (fingerprinting, DNA testing, etc.) Hollock has to use other means to solve the case. I enjoyed following the clues with him and trying to determine the culprit. Messages of salvation and God’s mercy are threaded throughout the story without being preachy. I was provided a free copy of this book by the author, and a positive review was not required. All opinions expressed are my own. If this doesn’t happen by this date, everyone dies” sort of thing. Then “By Christmas” popped into my head and flicked on a light. 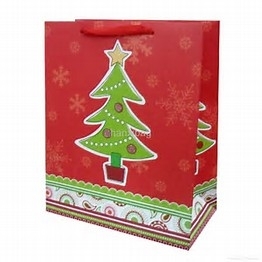 What if Christmas was the deadline? I’ve always loved detectives and mystery stories, and they go perfectly with deadlines. So, then I thought, what if a detective must solve the case by Christmas or death wins?